This Zig Zag Lace Stitch Pattern is knitted over a multiple of 10 stitches plus 1 in 8 row repeats. 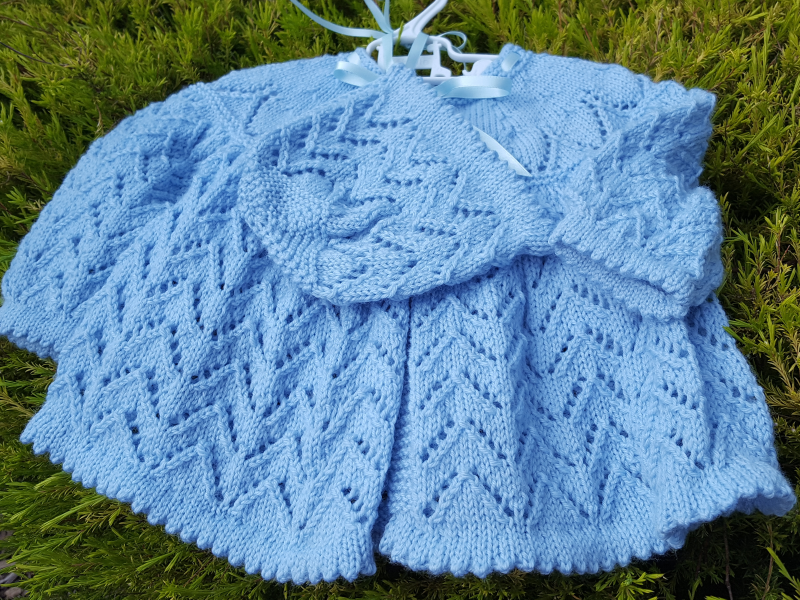 I use this one quite often for my baby knitting. It works really well for matinee jackets like the one in the photo below. 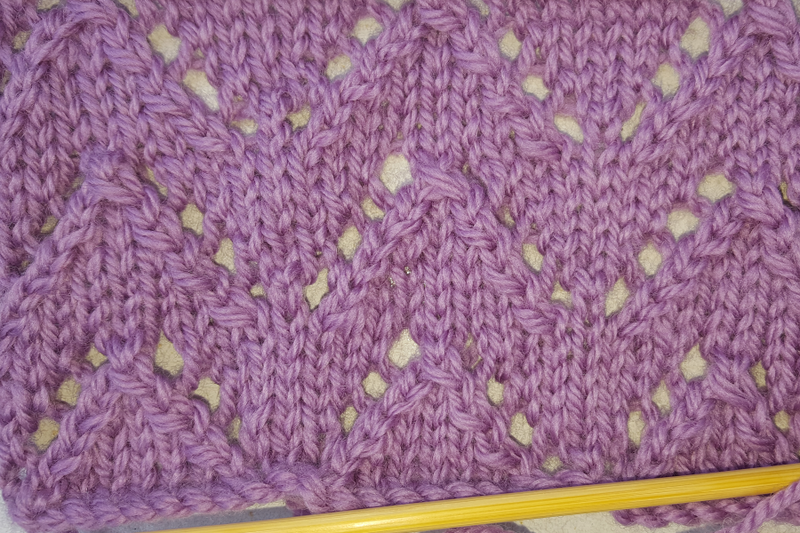 This is a relatively easy lace stitch pattern. Although is is a 8 row pattern, every second row is purl so there are really only 4 pattern rows. And as you can see it is a very pretty lace pattern. This all over lace pattern, repeats the pattern as given above over a multiple of ten stitches plus 1. 1st row (right side) : K1, *yfwd, (sl1, k1, psso), k5, k2tog, yfwd, k1 repeat from * to end of row. 2nd and every alt row: Purl. 3rd row: K2, *yfwd, (sl1, k1, psso), k3, k2tog, yfwd, k3 repeat from * to last st, k1. 5th row: K3, *yfwd, (sl1, k1, psso), k3, k2tog, yfwd, k5 repeat from * to last st, k2. 7th row: K4, *yfwd, (sl1,k2tog, psso), yfwd, k7 repeat from * to last st, k3. Repeat these eight rows to the length required..